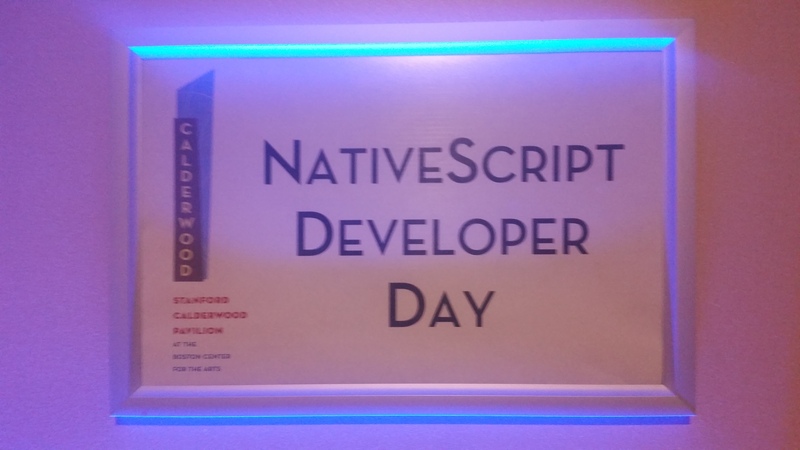 I got to give a talk on NativeScript testing to a great group of people at NativeScript Developer Days. Despite my silly technical problems at the beginning, we managed to get back on track and I was able to present all the critical information that was needed to get everyone up and running. I did manage to miss my last slide; so I will make sure to have all that information at the end of this post. For those who are interested in doing testing and weren't there; or those who were in the talk, and just want to get a quick refresh, or if you just prefer the information written down; then this set of blog posts is for you. I plan on doing a multi-part series on this as I want to cover what I did in my talk in the first two blog posts; but then expand the series to show Angular Native unit testing, how to unit test controls, and how to write unit tests for the NativeScript core. You can view the #NSDevDay video here . You can download my slide deck from the talk here. And you can download the entire app that I wrote for my talk, including all the tests from here. So our first type of testing we will discuss is Unit testing. Unit testing, for those of you that are un-aware of what it is -- it allows you to take a part of your code (typically a class or module) and you test it. The best way is to treat it like a black box. You don't care how it is implemented internally; you only care about the interface it exposes (i.e. inputs and the results). By treating it as a black box; this allows you to re-implement/rewrite/refactor/fix it or do any other internal things to the class without the rest of your real or test code caring about the actual internal implementation. Because your class is self contained it makes your code a lot more de-coupled and stand alone. This typically means the code is better engineered and more maintainable. In a nutshell, unit testing, is basically throwing as many different types of inputs and then verifying all the outputs and/or execution of your class is correct. The really cool thing is NativeScript actually has built in unit testing. The neat thing about the built in unit testing, is it actually runs fully inside your NativeScript application. This allows you to test anything that you have in your application including any added plugins, or custom code. To install it, you just do tns test init. This will ask you which testing framework to use and will install it. I prefer using Mocha, and so the tests examples will all be mocha based; but again the framework you use is your choice. One thing to note is that the assert functionality is actually provided by the Chia library in each of the testing frameworks supported by NativeScript. If you really prefer a different assert library there are ways you can change it, but that is out side of the scope of this blog post. For all your unit tests in NativeScript, they are all located in the /app/tests folder. 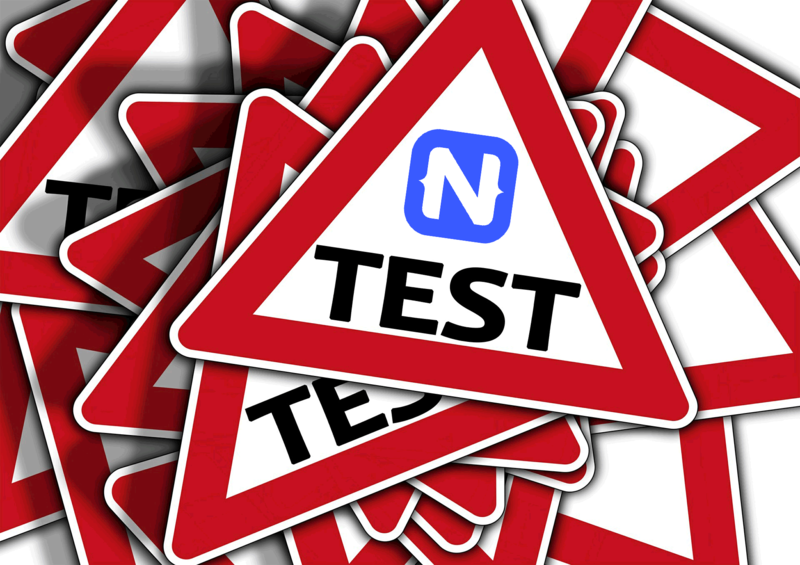 To then run all your cool tests you will type tns test android or tns test ios. TNS will then build your app and launch it in test mode. Once each test completes; your console will tell you which tests passed/failed and then finally how many passed/failed like this. Lets get to the actual creating of tests in Mocha. In my sample carder app; I provided a sample test file. So lets look at the unit test file I provided. The file is located /app/test/carderUnitTest.js. The first thing you will see is that I include the class I plan on testing. Pretty hard to test it, without requiring it. So in case it isn't obvious you still need to require the file(s) that contain any plugins/classes/module you need to test. The first line of this, we use the describe command to give the test a name, this allows you to know which test group passed or failed. You can also nest describe's inside of describe's to allow you to have sub-groups of tests. Finally you will see the it command, which is the actual test. You can have as many it's as you need in a group to test the full functionality. So walking specifically through this test; we are saying the main test group is Cards (I name it after the class I'm testing); the following describe is I'm testing functionality I'm testing the current card function; and finally what my expectation of my test, which in this case is that it should return ace of spade card. If either of the last two lines are false, then the test will fail and it will then mark this test as a failure in the log. As you can see creating this test was fairly simple; Reset deck, grab the card and then verify it. If you scroll down in the test file to the end of it; you will see the random cards test. As you can see that test is a bit more complex. Your tests can be as simple or complex as you need. Typically the simpler your tests are the better, as then it is less likely that your test is actually the broken part of the code if it fails. Notice in the it function, it has a done parameter now. The done() function is passed in for you to call when the async code has completed. The mocha unit test detects if you tell it to have a done parameter and will switch that test to be fully async. Note: If you are using my NativeScript-LiveEdit plugin, the watcher has had the ability to start these tests instantly on Android (Without having to use the slow `tns test android` command) for quite some time. So anytime you change any of the /app/tests/ files; it will automatically launch the tests and you will see the results almost immediately. However, I have recently added a couple new features to the watcher; you can hit inside the watcher window a "t" to start testing immediately; or the "m" to switch modes (i.e. default-auto-test, always test, and never test), and the "n" to force it to launch the app in normal mode. Depending on your CI environment and how frequently you commit, you might consider having the heavier tests run once every three commits or based on a keyword put in the commit or in a issue tracking system. Again, the idea is the more tests you can do and the more testing coverage you have the better off you are. If you need help setting up a automatic testing and/or CI environment or you would like some training, please contact me. This entry was posted in NativeScript, Testing and tagged NativeScript, Testing on September 23, 2016 by Nathanael Anderson. Well, we just finished the Conference yesterday! Thanks for everyone coming out; I enjoyed meeting a ton of you. And I hope everyone had a great conference. For NativeScript being released as a Beta to the world 18 months ago; they had a large turn out. In fact the Angular Native sessions had to be split into two rooms because so many people showed up. Good problem to have! Great job by Brian (and I'm sure others behind the scenes at Telerik & Progress) getting everything coordinated and setup. It was an enjoyable conference with great speakers. T.J. and Jen did a great job on the Angular 2 training session; I even learned some things in Angular Native; check out the in-depth tutorial on Nativescript.org, great stuff. The Opening by Burke and Todd was very entertaining and love some of the history and vision you guys presented... In 2014 NativeScript was started. 18 Months ago was when the beta was released, and the rate of adoption for NativeScript is through the roof. Congrats for MeWatt for winning the app contest -- the app & technology is very cool; but what stood out most to me is as I talked to the owner of the company (which he was an awesome guy) -- he mentioned that the app was built in 7 weeks from NO NativeScript knowledge to fully working on Android and iOS. Holy smokes, 7 WEEKS to Awesome APP. Talk about NativeScript being enabling! It was awesome to meet a several of the engineering team from Sophia -- we had some great discussions, and they now get to put a face to "that" guy that posts all those weird hard bugs that really mess up the schedules... 😀 The cool thing was we actually hashed out some great ideas for how to help enable several parts of the community to flourish more and how to help the community know what bugs we can easily work on ourselves from the TNS-Core. And of course it was very awesome to meet Valio & Todd, Dan and Brian at Telerik, I chatted with each of them several times over the last 18 months, so it was great to finally meet and put faces to the name. Oh and I plan on putting a blog post up later on my Presentation with the slide deck, link to the source & tests and all the key parts to help anyone who is interested in NativeScript Testing. I understand the talks were all recorded; so I'll update the post to link to them when they are released! This entry was posted in NativeScript, Uncategorized and tagged Conference, NativeScript, NSDevDay on September 21, 2016 by Nathanael Anderson. For those hiding out in the forest; guess what was released by our cool park rangers at Telerik today! 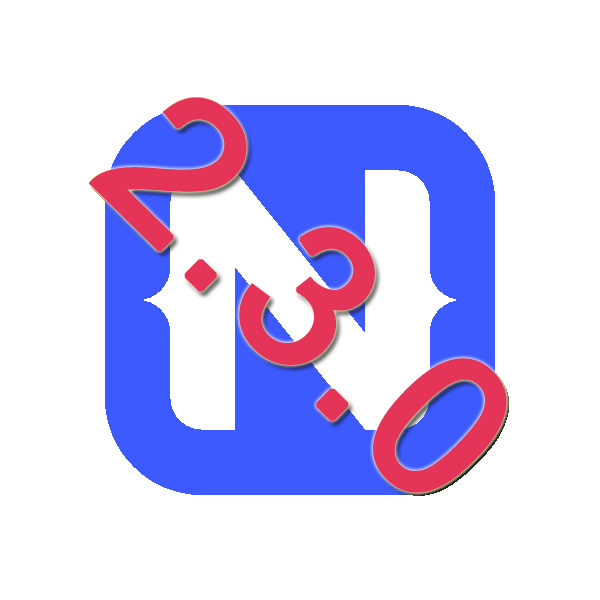 Yes, you got it - v2.3.0 of NativeScript is now available! Upgrade Instructions below. A Lot of other smaller bug fixes and enhancements went into place; unfortunately the really big feature for 2.2.0 & 2.3.0 has slipped again -- threads. It was a lot bigger than they expected; I've seen progress on both Android and iOS on this front; based on the activity it should be showing up in the masters channel soon, meaning we will be able to test and play with it soon. in "node_modules/tns-core-modules/ui/image/image.ios.js, comment it out. This entry was posted in NativeScript, Tips and tagged 2.3.0, NativeScript, Update, upgrade on September 15, 2016 by Nathanael Anderson. I'm happy to announce my latest commercial plugin; this one is a bit different then most of my plugins. I have a sample github repo using the new plugin, showing how easy it is to use the plugin, and a full demo showing different ways to use the plugin. Everything in the Blue box is totally loaded dynamically from all the different Declarative UI XML files that are located in the /views/ folders that you can see in the github repo. This entry was posted in Uncategorized on September 4, 2016 by Nathanael Anderson.